Looking to upgrade your car’s stock sound system? Not only is upgrading your audio components easy, but it allows you to unlock concert hall quality sound in the comfort of your car. But, if you’re just learning about car audio, it’s easy to get overwhelmed by all the different aspects of your car stereo, as well as all of the different brands, each promising the best audio experience possible. Today, we’re going to take a closer look at the first component you should look to replace in any car stereo: the speakers. Read on as we take a comprehensive look at ten of the best car speakers on the market and share some of the most important things you’ll need to know about car audio to make the best choice for your car. As one of the most renowned audio brands on the market, JBL continues to deliver high-quality sound, whether it’s at a 50,000 seat arena, or in your driveway. 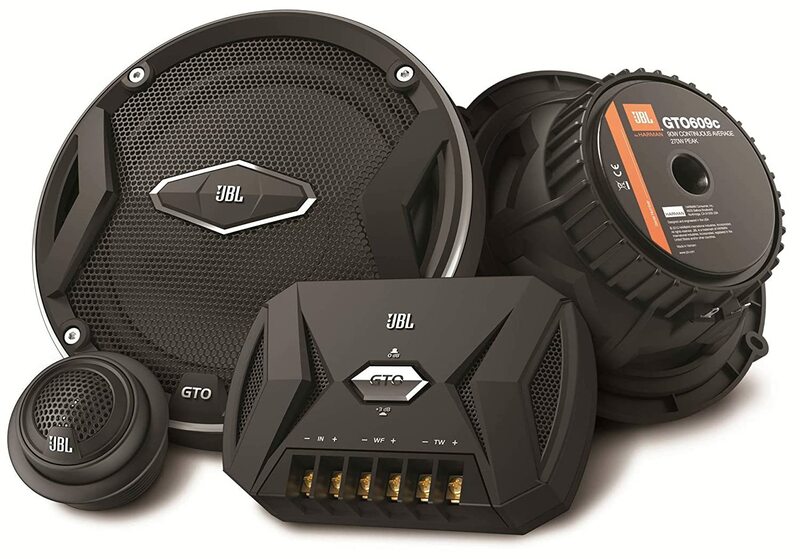 While you could spend thousands outfitting your car with JBL’s top of the line speakers, the GTO609C will get you started for under $100. The GTO609C is loud, handling up to 270W with oversized voice coils for increased power handling. JBL engineered these speakers with a larger than average woofer that moves more air than the competition. The cones are engineered from a carbon infused material that’s lighter and stiffer than polypropylene cones. The result is a speaker which offers greater bass handling and response, which makes these speakers a good choice when installing a subwoofer is not an option. Where the GTO609C shines is with the design of their tweeters. Each tweeter features a standard fabric diaphragm and includes a dual level volume adjustment which allows you to adjust the tweeter levels to compensate for poor placement. The tweeter mounting system is especially interesting and allows you to easily adjust tweeter placement if necessary. This is especially helpful for cars with poorly designed tweeter placements, as you’ll be able to tailor the location and directionality of the tweeters. As for durability, JBL pulled out a few new bells and whistles, such as butyl rubber surrounds, carbon-composite speaker frames and vented magnet assemblies to help ensure that your speakers will stand the test of time. At under $100 a pair, it’s very difficult to beat the JBL GTO609C. These speakers provide impressive frequency response, tight and punchy bass, and an overall sound that’s incredibly difficult to match for the money. If you’re hoping for something that’s going to wake the neighbors, the P.R.O. Series from Pioneer is worth a closer look. The TS6900 is a 6×9 that offers impressive power handling, quality components, and impressive bass response. The P.R.O. Series is available in a 6.75”, 6×9 and 8” configuration, and the TS69000 6×9 version may be the crown jewel of the line. The most notable thing about the TS6900PRO is the power handling. An impressive max power rating of 600W ensures you’ll have plenty of headroom to spare, no matter how high you like to crank it. Mounted at the center, 2 ⅞” bullet tweeters provide crisp, clean high-end even at the highest volumes. For the woofer, Pioneer opted with a tried-and-true pulp cone. While it may not win any awards for breaking new ground, the woofer is responsive and offers impressive bass handling from a paper cone speaker. The heavyweight stamped steel frame is rugged and durable, and dual-layer rubber surrounds help ensure that the TS6900 can stand up to anything you can dish out for the life of the system. One thing to remember about the P.R.O. Series is that they’re particularly deep, which makes them difficult or impossible to install in most car doors. While they’re a fantastic option for other mounting configurations, you may need to look elsewhere if you need door mounted speakers. If you’re looking for a speaker that handles bass incredibly well, even at ground shaking volumes, this may be a speaker for you. Keep in mind that they’re large size and heavy weight makes installation difficult in certain scenarios. So, you may want to speak with a professional before deciding on these speakers. CT Sounds have been making waves in the audio community for some time now thanks to their reputation for durability and high-quality materials. The Meso line is no different. The first thing you’ll notice about these speakers is the build quality. The magnets are huge, the surrounds are made from NBR rubber, the grilles are thick and heavy, and the woofer cone is made from a fiberglass material that looks like it could stop a bullet. As for the sound quality, the CT Sounds Mesos offer impressive bass response at all volumes and punchy mids. Unfortunately, the high-end gets a bit shrill, but it’s nothing you shouldn’t be able to fix. One thing to note, since the magnets on these speakers are so large, door installs may present a bit of a problem for door installations. Depending on the location of the speaker in the door, it isn’t uncommon for the magnet to hang into your window channel, making it impossible to fully roll down your windows. See Also : Best 6.5 Speakers Reviews. The Meso series from CT Sounds offers impressive build quality, good bass handling, and great sound overall. While they’re built with very high-end components, they’re still more affordable than many comparable speakers. If your current system has decent EQ capabilities, these speakers are well worth a closer look. Note: If you’re interested in the Meso, we arranged a special 5% off discount with CT Sounds for our readers, use this special link to get 5% off the Mesos and all other CT Sounds products. 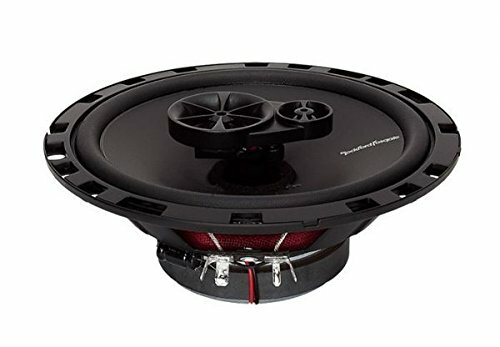 Rockford Fosgate is notorious for producing quality speakers at bargain basement prices. With the R165X3, they have once again succeeded in manufacturing a high-performance speaker at a low price. At around $40 for a pair, the R165X3 are more affordable than some OEM replacements, but they outperform many speakers at twice the price. At 90W max RMS, the R165X3 doesn’t have the same power handling capability of some more expensive speakers, but what it lacks for in power, it makes up for in the quality of its components. The 6.5” woofer features a vacuum polypropylene cone with a 1” silk dome tweeter and silk dome midrange. An integrated crossover sits behind the speaker, routing each frequency to its proper component. A rugged stamped steel basket, rubber surround and rugged grilles help ensure that your speaker will be able to stand up to anything you can dish out at it. One thing you’ll want to keep in mind is that while these speakers are sold as 6.5”, they’re closer to 6.75” and as a result, they require a bit of modification to fit in some cars. If you are planning on installing them yourself, make sure you know what you’re getting yourself into before you start. For the price, it’s almost impossible to beat these speakers from Rockford Fosgate. They’re well made from quality components, and they offer a significant upgrade over most factory speakers. However, they aren’t particularly impressive in the bass department, so you may want to look elsewhere if you’re hoping for more impressive bass response. Kicker is notorious for the speakers and subwoofers they produce which are designed especially for today’s modern music. Kicker is also known for their ultra-high power handling and robust bass response. But, does the DS65 live up to their reputation? Yes, they do. The DS65 features a max RMS of 240W, and while there’s plenty of speakers that exceed this slightly, the DS65 just SEEMS louder. Like all Kicker speakers, the bass response is impressive. Thanks to the low profile design of the DS65, this speaker drops in with ease in virtually all mounting situations. If you’re a DIYer, you can have a set of these wired up and installed in just an hour or two, with few headaches. Where these speakers from Kicker do fall a bit short is in the durability category. Most of the speakers we’ve covered today feature heavy-duty rubber speaker surrounds. Meanwhile, the DS65 surrounds are made of foam. The woofer cone is made from non-reinforced polypropylene which doesn’t provide the same durability as more technologically advanced materials. If you’re looking for an affordable speaker that’s loud and provides plenty of bass, the DS65 may be the ideal option for you. But, buyer beware, these speakers don’t feature the same heavy-duty construction as many of their competitors, and we wouldn’t expect them to last as long as these overbuilt models. 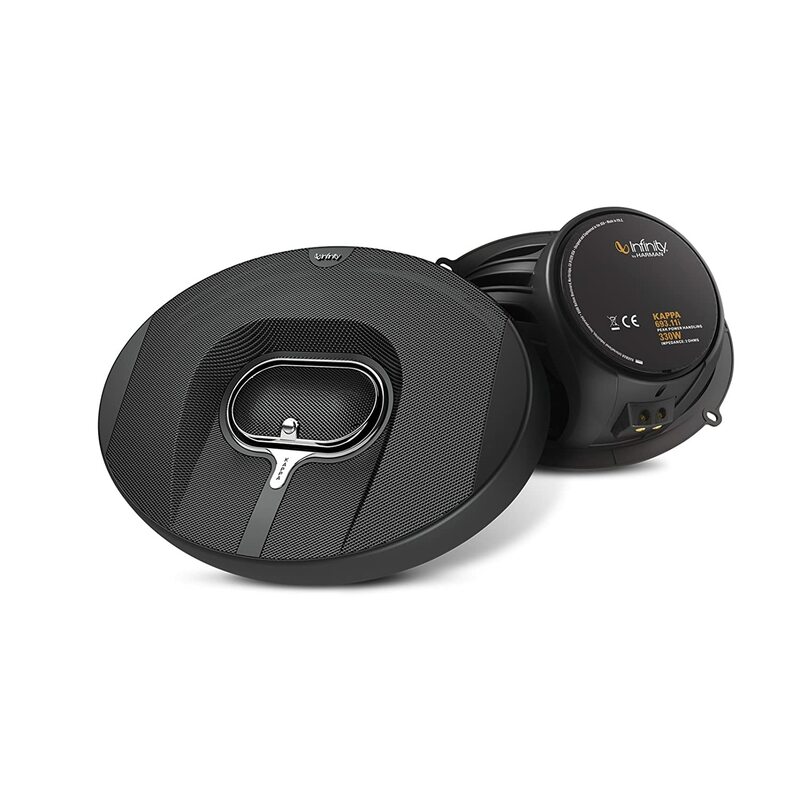 The Kappa 60.11 CS from Infinity is extremely similar to the JBL GTO609C, which isn’t too surprising considering both Infinity and JBL are owned by the same parent company, Harman. Like the GTO609C, the Kappa 60.11 CS features Plus One cone technology, which allows for a larger cone to be used inside this 6.5” speaker. They also feature a composite speaker frame and rubber surrounds, just like the GTO609C. Where the Kappa 60.11 CS differs slightly is in the quality of sound it produces. While they don’t offer quite the same bass response as the JBLs, the highs and mids these speakers produce are off the charts. I have a hard time thinking of a 6.5” car audio speaker that produced a more clear or accurate sound than the Kappa 60.11 CS does. While these speakers can be powered with a head unit, you’re able to unlock the true potential of these speakers by pairing them with a capable amplifier. While that can be said with all component speakers, it holds especially true with infinity. For the serious audiophile looking for the crispest and clean reproduction of the music they’re listening to, these speakers are hard to beat. While they’re a bit on the expensive side, many will find that the extra cost is worth the bump in audio quality. We’ve already discussed Infinity’s reputation for producing excellent quality speakers, and the Primus series is another impressive offering from this pro-level audio company. The Primus series is a three-way speaker, so it features a 6×9” woofer and 1” tweeter in addition to a 5/9” super tweeter. These speakers handle a very impressive 300W max RMS, which is among the highest power handling of any woofer on the market. Like other models from Infinity and JBL, these speakers also feature Plus One technology, which allows for a larger woofer in the same sized frame. A polypropylene cone and durable rubber surrounds ensure that the Primus series is built to last. 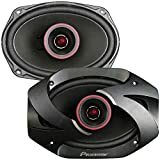 These speakers are a particularly good option for those looking to power their speakers with their existing head unit, as they do a fantastic job of utilizing every bit of available power they have. That said, they’re even more impressive when hooked up to an amp. These speakers produce beautiful bell-like highs and full mids, they even offer decent bass response, making them a good option for installations without a subwoofer. 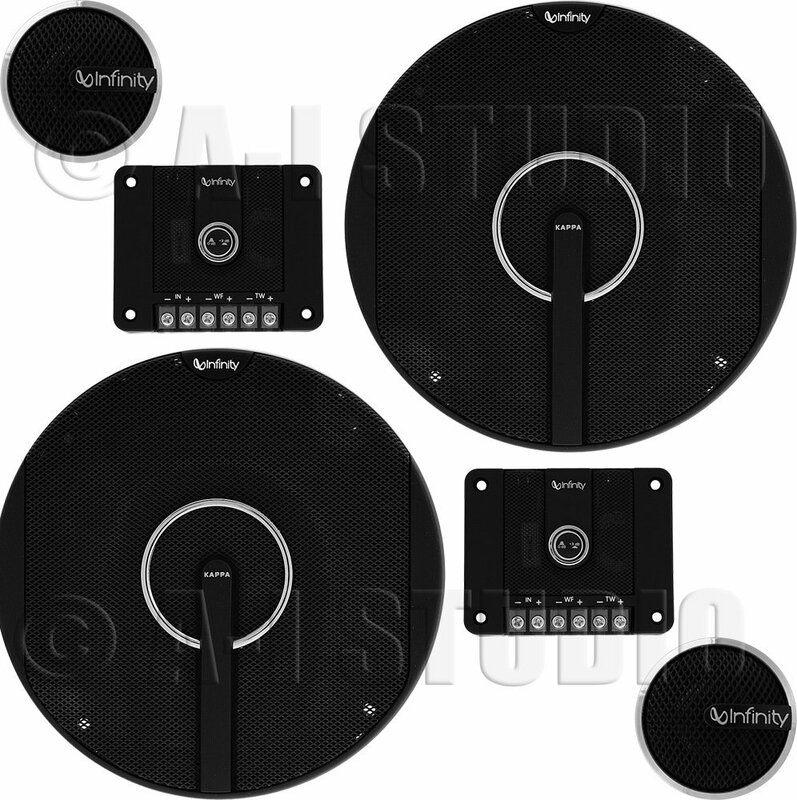 While some people have complained that installing them was less than easy, that shouldn’t deter you from taking a closer look at these impressive Infinity speakers. The Primus series offers the impressive sound quality and durability that audiophiles have come to expect from Infinity speakers. At well under $100 a set, they’re also more affordable than other Infinity speakers, and most speakers from lesser manufacturers for that matter. Another option in Alpine’s rock solid S series of speakers is the SPS610. 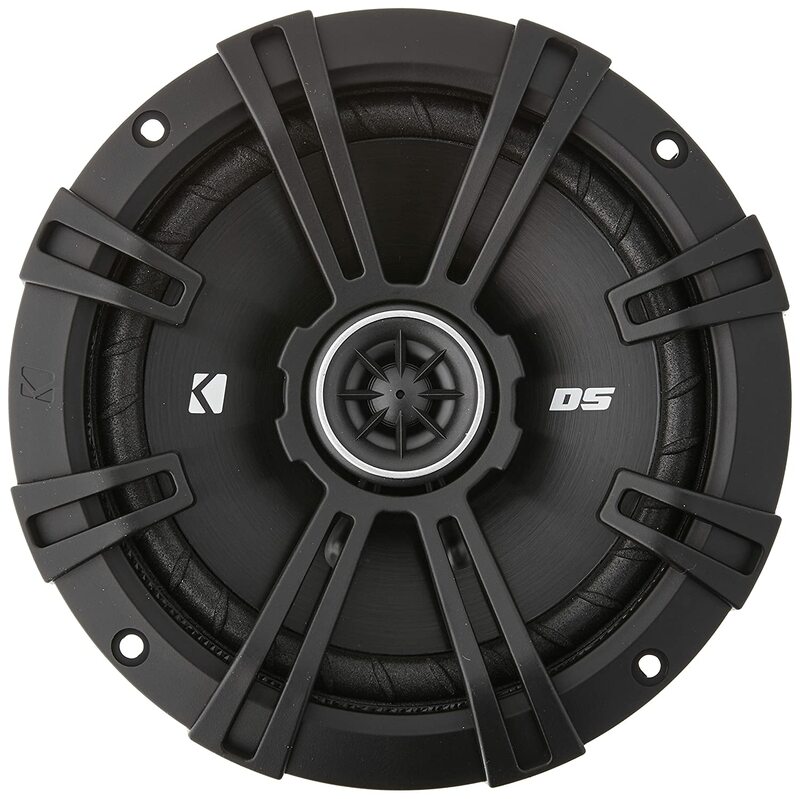 The 610 is a 6.5” coaxial speaker that makes an ideal choice as a replacement for your car’s factory speakers. Just like the SPS619, the SPS610 offers impressive power handling, with a peak power capacity of 240W. While power handling is nice, it means little if your speakers turn into a distorted mess at higher volumes. Fortunately, every aspect of these speakers is designed to handle anything you can dish out. From the extra rigid voice coil to the poly and mica blend woofer cones, the SPS610 is built to handle high volumes without the distortion that’s common with cheaper replacement speakers. The tweeters are 1” and have an omni directional swivel, allowing you to tune the sound to your car. Like the SPS619, they also feature a silk dome. These speakers also feature butyl rubber surrounds. So, durability shouldn’t be a concern for you. While the SPS610 is far from the loudest or best sounding speaker on the market, they’re perfect for the car audio enthusiast who is looking for an improvement over their stock sound system without breaking the bank. Polk Audio has a long-standing reputation for quality and affordability, and that reputation is on full display with the DB615S. One standout aspect of the DB615S is that it’s especially forgiving for DIY installations. The speaker itself is shallow, allowing it to fit virtually all mounting applications in any vehicle, and it has multiple mounting options, which allow you to complete a professional quality install with no modification to your vehicle. Sound wise, the DB615S offers middle of the road power and handling capability, with a max RMS of 165W. However, considering the rock-bottom price of the DB615S, the speaker still offers plenty of value. Where this Polk Audio speaker signs, brightest is in its durability. The woofer cone is made from Dynamic Balance polymer/mica composites, while the woofer is made from a silk/polymer composite. A butyl rubber surround ensures enhanced durability in harsh conditions. The DB615S has been overbuilt to achieve marine certification, so you can even feel confident mounting these speakers on a boat or watercraft. If they’re tough enough to handle the ocean, there’s likely nothing your car can dish out that these speakers aren’t ready for. If you’re looking for an affordable speaker that’s built with durability in mind, the DB615S is one to take a closer look at. These speakers do sit firmly on the value end of the spectrum, so you can expect them to fall short of expectations if you’re a seasoned audiophile. While the slim design makes this one of the easiest speakers on the market to install, the lack of depth is evident when it comes to bass handling. So, if you’re looking for speakers that deliver a round, full bass sound, you may want to keep looking. Alpine has developed a reputation as one of the leading manufacturers of car audio speakers and components. Their Type S line is among their most popular, and it’s a solid option for anyone looking to upgrade their car’s stock speakers without going too far down the car audio rabbit hole. The Type S line is available in six different sizes designed to fit popular stock configurations. They offer great power handling thanks to a 30mm voice coil with a max RMS capacity of 85W and a peak power capacity of 260W. The 1” tweeters feature a silk dome, and they swivel 10° in any direction so that you can tune the crisp and clear highs of the SPS619 to your exact specifications. The woofer’s cone is made from a poly and mica blend which is durable and highly responsive, with impressive base handling. A quality butyl rubber surround helps ensure that these speakers will be the last you’ll need in your car. At first, the sound quality of these speakers doesn’t seem to exceed stock speakers by much, but once you give them a few weeks to stretch their legs, the improvement in sound quality is significant. The SPS619 are far from the best sounding speakers on the market, but they outperform virtually all other competitors for the money. 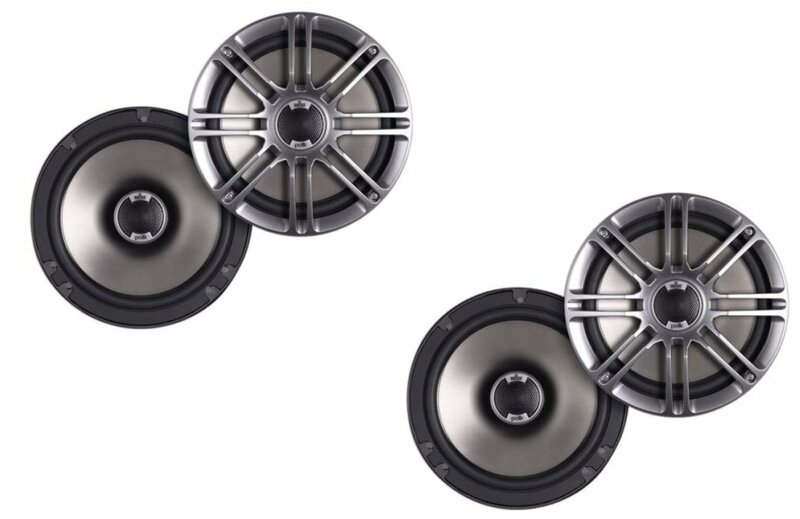 Alpine’s Type S speakers are also easy to install, thanks to their wide range of different popular sizes. At under $100, the SPS-619 is a great choice for those looking for quality sound and durability without breaking the bank. The ten speakers we just looked at represent some of the best car speakers on the market. But, having great speakers doesn’t necessarily mean you’re going to get great sound right out of the box. There are a bunch of factors that will influence how good a speaker will sound in a given car. Now, we’ll tackle everything you’ll need to know to select the best car speakers for your ride. There are three different types of car audio speakers you’ll want to get familiar with as you learn more about the best car speakers for your ride. Subwoofers are the largest speakers we’re going to be concerned with, and they typically range from 10-15” in size. They’re responsible for handling the lowest frequencies in your music. Most stock car audio systems don’t include a subwoofer. Instead, they’re added to an aftermarket system. Sure, you can still achieve great sound without a subwoofer, but you’ll be surprised by the amount of depth and clarity a subwoofer can add to your car’s sound, especially if you listen to bass heavy music like hip-hop or hard rock. When you close your eyes and picture a car audio speaker, chances are you see a woofer. Woofers are the medium sized speakers that are present in any car audio system. They’re usually 3.5-7.5” in size, and they handle the mid-range frequencies in your car. The larger the woofer, the better it is at handling bass frequencies. Meanwhile, smaller woofers handle frequencies closer to the high end of the range with more accuracy. In high-end car audio systems, it’s common to have multiple woofers: large woofers to handle mid-bass frequencies and smaller ones for the mid-high frequencies. Tweeters are tiny speakers that handle the high-end frequencies in your music. These speakers are typically under 1.5” in size. In full-range speakers, tweeters are mounted in the middle of the woofer. With component systems, tweeters are usually mounted high in the door panel, or just behind the driver and passenger seats. While these components aren’t speakers, they play a role in your car’s sound that’s every bit as important as the speakers themselves. Crossovers are small electronic components that are present in every car audio system. Crossovers act like little computers, telling the sound where to go based on its frequency. A crossover will send the lowest frequencies to the subwoofer (if you have one) or to the woofers (if you don’t have a subwoofer). It will also send the mid-range frequencies to the woofers and the high-end frequencies to the tweeters. In full range systems, the crossover is built into the speaker. With component systems, the crossover is a separate device that must be mounted in the car. Amplifiers do just what their name entails: they amplify the sound that’s produced by the input source you’re listening to. Just like every car has crossovers, every car also has amplifiers. However, the stock amplifier present in your car is small and only provides enough power for the stock system in your car. If you’re planning on upgrading to a bigger and louder system, you’ll need to purchase a bigger amplifier to provide ample power to your speakers. Amplifiers are sold based on the number of speakers they can power. A one channel amplifier is only capable of powering one speaker (usually a subwoofer), whereas a five channel amplifier can power a total of five speakers. Make sure you know how many speakers you’ll need to power in your system before purchasing an amp. With a full range speaker, every component you need is built into the speaker. Full range speakers have a woofer to handle lower frequencies, and tweeters to handle the high end. Some full range speakers have additional drivers to handle mid-range frequencies. If you’re looking to upgrade your car’s stock audio system with minimal effort and fuss, full range speakers are going to be best for you. But, if you’re looking for the absolute best in audio quality and customization, you’ll want to look into component speakers. Many full range speakers provide additional levels of customization. For example, some offer detachable tweeters, which allow the tweeter to be removed and installed elsewhere if you prefer. 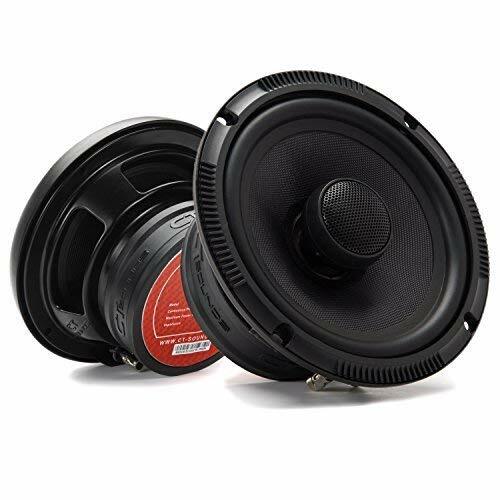 Some full range speakers have swiveling tweeters that can be angled in different directions, which can have a major effect on the sound quality of your car. Component speakers are designed to provide the absolute best audio experience for the listener. With components, each aspect of the speaker is a separate entity. The woofers are mounted separately from the tweeters to provide the best experience for the listener. A crossover routes the proper audio frequencies to the right speaker, ensuring that the higher frequencies are handled by the tweeters, while the lower frequencies are routed to the woofers. These types of speakers usually use the highest quality components and offer the best sound quality with the most opportunity for customization. They’re also more expensive, more difficult to install and often require custom installation work. Now that you’re armed with a bit more knowledge about car audio speakers and how they work, there are still a few more things you’ll need to consider before you start shopping. The amount of power a speaker can handle is critically important. To achieve great sound, you’ll need speakers that are capable of handling the power that your head unit (or amplifier) puts out. If the speakers can’t handle the power your head unit puts out, this will result in distortion, and ultimately, blown speakers. If you’re sticking with your stock head unit, check your owners manual for power specs before shopping for speakers. Or, if you’re replacing the stock head unit with a new model, make sure you know the power of the head you’re going to be using before purchasing speakers. The sensitivity of a speaker refers to the amount of power the speaker needs to receive to produce sound at a given volume. If you’re planning on keeping some of the stock components of your car stereo, you’ll probably need high-sensitivity speakers, which require less power. But, if you’re doing a complete stereo overhaul and adding amplifiers to your system, low-sensitivity models will be better suited for your needs. The quality of the speakers you’re using has a profound effect on speaker quality. Your car is often subject to extreme hot or cold conditions, and over time, these conditions can wreak havoc on a speaker. If you’re looking for the best sound quality and durability, look into speakers that feature rubber surrounds. For subwoofers and woofers, stiff and lightweight cone materials offer the best durability and sound quality as well. On higher-end models, metal fibers are often woven into a material like polypropylene to enhance both sound quality and durability. Tweeter materials vary a bit more widely, and high-end models may use cone materials that are soft like silk, or hard, like graphite. Both are durable and can produce amazing sound quality. In this case, it comes down to personal preference. Harder materials tend to produce more crisp and piercing highs, while softer materials offer a more refined sound from high frequencies. Upgrading your car audio system is a great way to improve the sound of your car, and increase your level of enjoyment when you’re driving. Replacing your stock speakers is a great place to begin your car audio journey. Starting with the speakers can often have a profound effect on your car’s sound quality, without breaking the bank. The ten speakers we’ve covered above represent some of the best car speakers currently on the market. Be sure to take a close look at all the speakers we covered, and when in doubt, give a call to your local car audio professional, and they’ll be able to point you in the right direction on your quest to achieving audio nirvana. James thank you for this article. 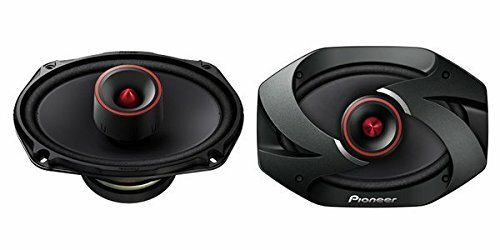 I’m looking to purchase a stereo system and speakers for my husbands car (his birthday). He is a music purest and he will only listen to albums or CDs. He claims all other formats clip the highs and lows. That said and knowing his keen sense of hearing I thought Infinity Kappa 60.11 CS speakers would do him well. Thoughts on that? Also, I need a stereo that plays CDs. Can you offer any insights to that? Penny for your thoughts please as this is way out of my comfort zone! Hi Cheryl, thanks for your question! Your hubby is a lucky man that you’re planning on supporting his music-loving ways. Yes, the Kappas are a great choice for sound quality and I think that’s going to be a great bday present for him. Regarding media formats and clipping of frequencies in the spectrum, boy, that’s a loaded topic to comment on right here 🙂 I will say that if you focus on lossless formats and high quality system components, that will put you in the best place to enjoy your music. It’s not so much purely a media format issue. Im not sure what kind of system was used to rate and rank these speakers but I believe it was some flawed logic. Some of these speakers are great but those kickers which I have run in a couple beaters are by no means a sound quality speaker. Expected to see some focal, Hertz or even jl audio on the list. Hey Jacob, appreciate your comments here, my friend. I get what you mean and can’t argue, necessarily. The reality is, however, when you have a pair of speakers like the Kickers doing what they do under $60, you have to give them praise. You mentioned some excellent brands and we’re also talking 2-4x the cost. We’re serving a huge audience and many of them have stricter budgets. You make great points, though, and we’re going to concentrate future content on different price ranges to address more of the high-end enthusiasts among us, as well. Appreciate you being part of the community! I bought the Rockfords in this review and was highly disappointed. The sensitivity rating is way off and couldn’t even keep up with Pioneers on deck power. I had them on a clean Alpine 40w RMS and an Alpine UTE73BT. They’re such a pain to get in the doors I just added Infinity MX20s mids and JBL GTO19t tweeters to the dash on deck power. Hindsight top ten reviews had a better evaluation. Hi N8, appreciate your comments and will add your feedback on performance and installation into our knowledgebase to track overall user experiences. I’m glad you like the Alpine UTE-73BT, it’s a solid head unit. The Infinity Kappa-20MX is a nice driver and I’m also a fan. The JBL GTO19T do a nice job, especially at that price point. We’ll be doing a lot more component reviews soon!